Competitive Edge Products, Inc is happy to offer the excellent Champion Bf350 Body Composition Analyzer and Scale Heart Rate Monitor. This self-contained scale displays Body Mass Index, Weight, and Body Fat percentage in seconds with an easy to read 2 line display. Has an extra large platform and is PC compatible with an RS232 port for a computer. 440 lb. weight capacity and includes an AC adapter. 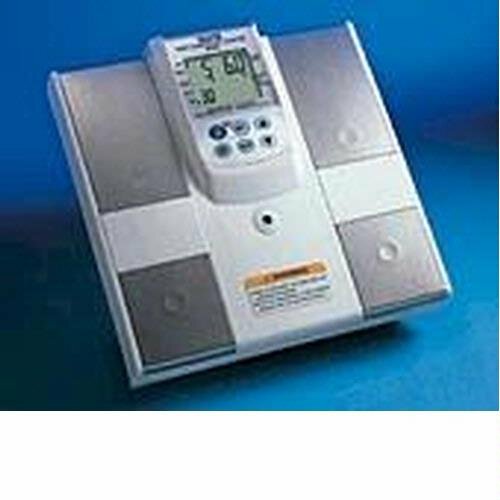 The Tanita BF350's self-contained unit displays weight, body fat percentage, and body mass index (BMI). It's an affordable / portable system for mainstream healthcare and fitness providers. By adding Tanita's Health Management Software, you have the ability to download this information as well as additional measurements, such as: fat mass, fat free mass, basal metabolic rate, total body water, and impedance, via the RS232 output. Download Champion Tanita BF-350 instruction manual. A great way to track your weight, fat and muscle mass.